It returns to Ballycastle for four days from Saturday 25th August until Tuesday 28th with more attractions than ever before. The event is the oldest of its kind in Ireland and has an enduring appeal which annually attracts thousands of people to the seaside town. Its horse trading roots continue after 400 years at Fairhill Street complemented by a range of agricultural attractions including a mobile farm, farrier demonstrations and pony rides provided by local charity Riding for the Disabled. 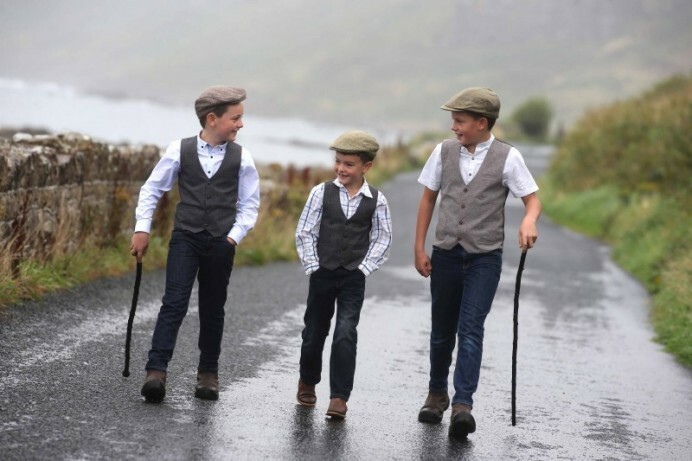 At the Quay Road playing fields Silverstream Sheepdogs will make their first ever appearance at the Ould Lammas Fair with their entertaining duck herding demonstrations taking place on Monday and Tuesday between 11am and 4pm. An evening of horse racing on the beach, with an emphasis on having fun while raising money for Riding for the Disabled, takes place on Saturday 25th August with 10 races planned from 6pm – 8pm. This new addition to the fair programme is set to be a must-see sight for all in one of the Causeway Coast and Glens most scenic locations. Saturday’s activities will also include the heavy horse show and parade (10.30am – 1.30pm) and the vintage tractor run (3pm – 4.15pm) which have been an integral part of the fair weekend for decades. On Sunday, the Naturally North Coast and Glens Artisan Market will be open at the seafront throughout the day followed by a Twilight Market until 9pm ahead of a spectacular seafront fireworks display. After this, there will be live music in the Diamond from 9.30pm – 11.30pm with local band 30 Mile Limit taking to the stage for a free outdoor gig. The market will return to the seafront on Monday and Tuesday, and over the three days it will also include a seated street food area, artisans-at-work demonstrations and ‘make and take’ activities for children. The Street Fair through the town will feature hundreds of stalls which combined with the huge crowds help to create the Ould Lammas Fair’s unique festival atmosphere. Visitors are reminded that a park and ride facility will operate on Monday and Tuesday from McQuillan’s GAC, Whitepark Road. All buses are fully wheelchair accessible and the service will run every 20 minutes to North Street from 10am – 7pm at a cost of £5 per car. Some disabled parking provision will be available over all four days at the Seafront while a ‘mobiloo’ facility will be located at the Marine Hotel car park. Mobility scooters and wheelchairs, available from Shop Mobility at the seafront, can be booked in advance by ringing 07934190242. 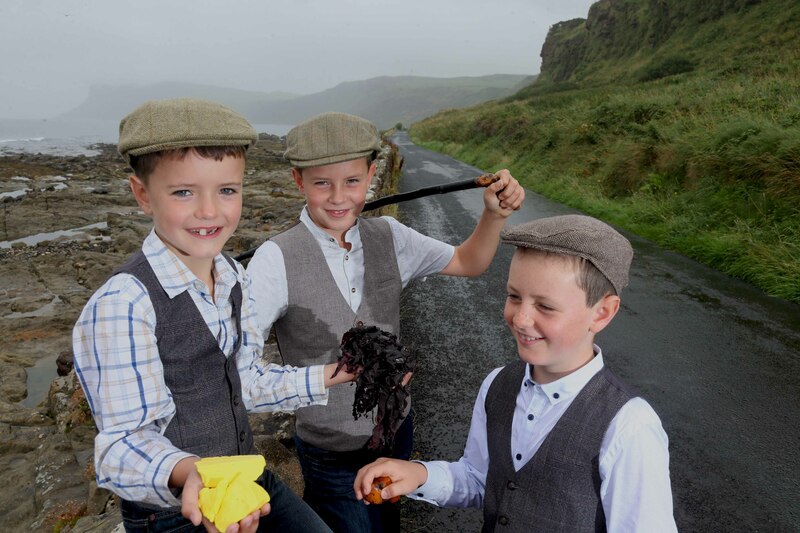 The Lynn brothers from Doonans, Glenshesk, Conail, Daniel and Liam get set for the Ould Lammas Fair which returns to Ballycastle from Saturday 25th August until Tuesday 28th August. There's four days of activities and attractions to look forward to including horse racing on the beach, a twilight market at the seafront, traditional horse trading at Fairhill Street and the street fair featuring hundreds of stalls with many selling the traditional delicacies of dulse and Yellowman.